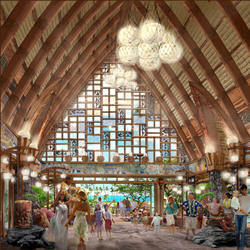 Aulani a Disney Resort & Spa in Ko Olina, was designed by Walt Disney Imagineers working hand in hand with Hawaiians to create a place celebrating island culture and history. Everything from the wondrous volcanic outcroppings to the breathtaking Resort architecture honors the fundamental connection between nature and humanity that the Hawaiians have cherished since the beginning of time. 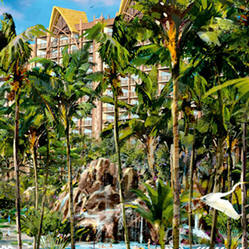 And because Hawaiians love to layer meaning in their words, so the name “Aulani” has more than one meaning. It is the place that speaks for the ancestors, yet it is also the place that speaks with deep messages.